If you’re suffering from a tooth that’s cracked, chipped, broken, or missing altogether, it can have more effects than you may realize. The pain and sensitivity are obvious, and you may steer clear of certain foods and beverages. Your healthy diet may suffer because of it, and your speech pattern may also be affected. Not to mention the effects on your oral health! Surrounding teeth may become compromised as they rely on each other for support, and your bite may change which can compromise your alignment and TMJ. Thankfully, at Spring Creek Dentistry, we can restore your smile in form and function with a simple dental crown. A dental crown is a tooth-shaped cap that fits over any remaining healthy tooth structure, or over a dental implant if you are missing a tooth entirely. Our crowns are made of beautiful tooth-colored ceramics that mimic your natural teeth in every way. Our crowns are strong, durable, long-lasting, and blend in seamlessly with your natural teeth. No one will ever know you’ve had a restoration! To have a crown placed will generally require two appointments. Your first visit will include necessary preparation of any remaining natural tooth structure, and the creation of a digital 3D model for your new crown. We will place a temporary crown for you while we send the images off to a lab to be created. You will return for your second appointment where we will remove the temporary and securely place your permanent crown. Voila! Your smile is restored! 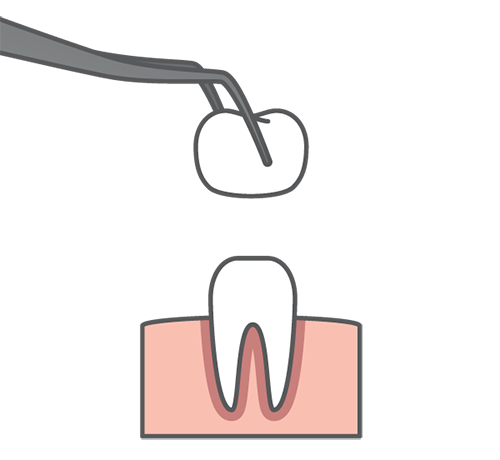 If you’re missing a tooth entirely and are a good candidate for a dental implant, the process will look a bit different. Contact your Spring dentist for a consultation to find out what is the best option for your needs. If you have any questions about crowns, or would like to [schedulelinke]schedule a consultation[schedulelinke] with your Spring dentist – Dr. Oakley, Dr. Henley, Dr. Miller, or Dr. Wendt – please contact us at Spring Creek Dentistry today at (281) 407-8333 .